ITV to start charging for ITV Player next January | What Hi-Fi? ITV will introduce micropayments for its ITV Player online TV service at the beginning of next year. The commercial TV broadcaster intends to launch a range of pay systems, says ITV chief executive Adam Crozier. "Our pay mechanism will launch at the turn of the year, we have picked our partners," he says. "We are working on the consumer proposition, what people are prepared to pay for and what will work and won't work." Crozier said that ITV would probably run a number of different payment models in the first few months after the launch. It has has been experimenting with different online viewing models such as "register-to-view trials" for Champions League matches, Indian Premier League games, The Only Way is Essex and webisodes of Coronation Street. 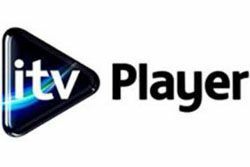 Yesterday ot was announced that Freesat had added ITV Player to its subscription-free satellite TV service.